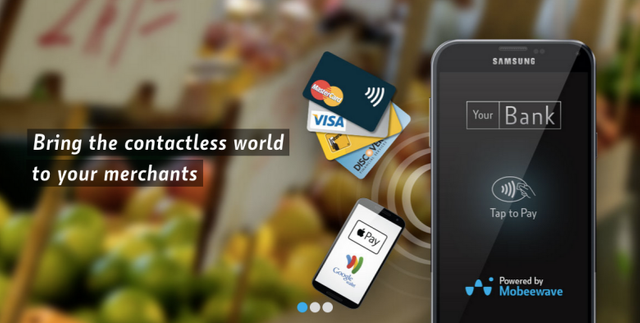 Mobeewave turns NFC-enabled phones into secure contactless payment terminals that can receive payments from any NFC wallet without any additional hardware. The race is on to support mobile wallets (Samsung Loopay acquisition) let's see if user adoption also starts to ramp. Earlier this month SBT Venture Capital, the venture arm of Russia’s national savings bank Sberbank, led a $6.5 million investment round for Mobeewave, a Canadian startup that develops fast and secure near-field communication (NFC) mobile payment acceptance services. Business angels also participated in the round, but their identity has not been disclosed. Founded in 2012, Montreal-based Mobeewave presents itself as “the world’s first and only provider of dongle-free NFC mobile payment terminal solutions enabling payment acceptance on smart devices.” This technology turns any NFC-enabled phone (or other smart device) into a secure, contactless payment terminal (mobile POS) to receive payments from ApplePay, contactless cards, or any NFC wallets without the use of any additional hardware.